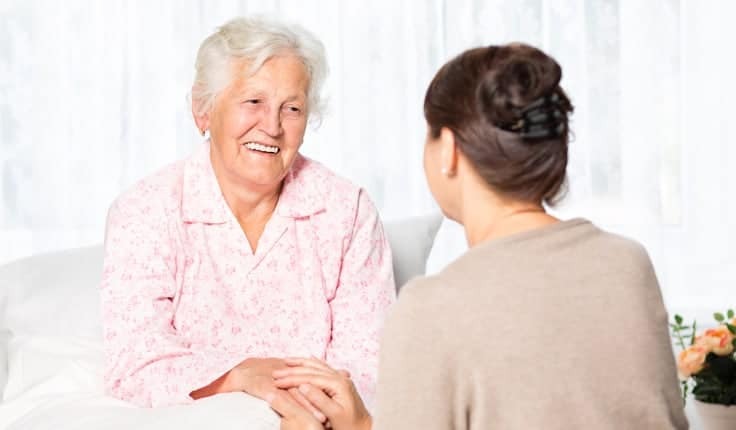 Nursing home residents are usually in a nursing home because they require the skilled care and supervision that they would not have access to at home. It seems especially egregious, when the nursing home must call the family members of a resident to inform them that their loved one is missing because they managed to elope from the facility. Failing to take sufficient safety precautions and carefully supervise residents is a breach in the nursing home’s duty of care that they owe every resident of their facility.  If a resident wanders from a nursing home and suffers serious injury or death, the family may hold the facility liable for their loved one’s injuries, pain and suffering and wrongful death. At the Yeboah Law Group our Fort Lauderdale nursing home negligence attorneys are always astounded when we find ourselves investigating yet another nursing home elopement case. Nursing homes that are incapable of supervising residents and keeping them safe will be held accountable for the injuries that residents suffer when they are permitted to wander from the premises and injure themselves. We fight for justice for your loved one who has been injured because of nursing home negligence. What is the difference between elopement and wandering from the nursing home? Elopement occurs when a resident is responding to the compelling urge to leave the facility to do something specific. The resident might think that they need to get to work, or to get home to see a loved one or due to some other compulsion. Wandering occurs when a resident simply wanders away aimlessly and unnoticed, unaware of where they are going and incapable of responding appropriately to what happens to them and what is going on around them. What leads to elopement or wandering in nursing homes? There are many factors that contribute to wandering and elopement in elders. Alzheimer’s (a form of dementia) or any other condition that affects a person’s mental abilities (but not the physical ones) may lead to residents wandering away from a nursing facility. Their diminished mental capacity can cause them to think they are somewhere else, that they are speaking with someone they remember from their youth, or they may simply become confused and disoriented. Can I hold the nursing home accountable for my loved one’s injuries from elopement? There may be no way of preventing every attempted case of elopement or wandering, however, if the nursing home staff is doing their jobs, no resident will be successful at leaving the facility. Part of the nursing home administrator’s job is to assess each resident’s physical and mental health and determine the likelihood of wandering or elopement. If a resident has physical mobility and compromised mental capacity, they are likely to be at some level of risk of wandering and steps must be taken to prevent it. Nursing homes must hire sufficient staff to supervise residents, and they must be trained on what to do when a resident attempts to leave the facility. All the building’s exit doors should have alarms that sound when they are opened, and staff members must be trained to investigate every instance of a door alarm immediately. The facility might install security cameras on the exit doors and on the exterior perimeter so that security personnel can see if a resident manages to slip out of the building before they are able to leave the property. Given that the nursing home owes each resident a duty of care under both state and federal law, when a resident can get away without being noticed or stopped, this is a breach of that duty. If the resident suffers an injury or death after having wandered away, the nursing home may be held liable for the resident’s injuries. The skilled Fort Lauderdale nursing home negligence lawyers at the Yeboah Law Group are prepared to investigate the elopement incident, determine what measures were put in place to prevent it and determine who may be held responsible for the resident’s injuries or for their wrongful death. We are here to protect your rights and to fight for justice on behalf of your loved one. If you believe that it is time to hold the nursing home administrators accountable for your loved one’s pain, the medical bills, the future care and any other losses they have suffered due to negligence and abuse, we are here to help. 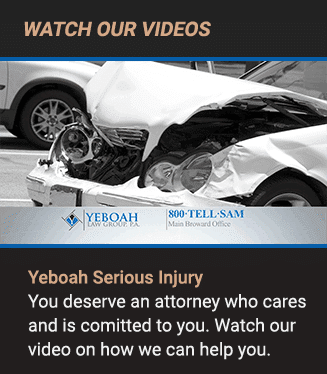 At the Yeboah Law Group, we know that you probably do not want to take the nursing home to court, but we are here to make sure that you recover all the compensation you deserve when their negligence caused your loved one’s injuries. You are welcome to call 1-800-TELL-SAM or complete our contact form for a free consultation to answer your questions and advise you on how to proceed.